Update your kitchen or bathroom cabinets with these modern cabinet pulls by GlideRite. The 2.5-inch pulls are made of zinc alloy to ensure long-lasting use, and the satin nickel finish provides shine and a contemporary touch to your decor. Unwrap each individual bin pull, and use the included screws to install them within minutes. Nice and heavy metal. I replaced some older bronze pulls that were much plainer. These look awesome and they don't show fingerprints. This cabinet pull looks so nice in my newly remodeled kitchen. Had to use a bigger drill bit to install but is very nice looking. Bought these for my kitchen draws and they look amazing with the bar pulls on our kitchen cabinets. Great quality for low price. Really beautiful cup pulls, just slightly nicer than what you’d find at a big box store with the flared detail and hidden screws. 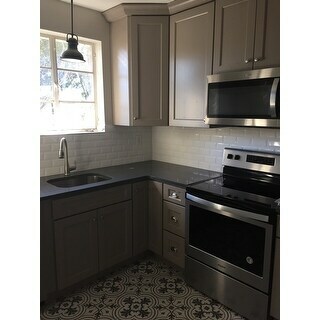 Looks nice in a historic kitchen, good price and arrived on time. New pulls look great. Easy to install and appear upscale. great price and excellent quality. I love them and used them for some smaller drawers in my kitchen. I do wish there were larger ones that match these however. Had to go with pulls that were a little different for the bigger drawers. LOOKS wonderful on kitchen Cabinets. Extras were great for the bathroom. the price was perfect. Totally recommended vs the box store products. nice finish and high quality. Pulls look great in my new kitchen. Beautiful - absolutely adds character to my new cabinets. Very good quality. Nice, classic look. Feels substancial. Good value, would buy again! I was very happy with the cabinet pulls they look nice on my kitchen drawers. They look as good as the ones you spend a fortune on in the big home hardware stores. I just remodeled my kitchen and these were truly the perfect garnish! I shopped competitors online and box stores- best value$ and just beautiful. I waited 8 years to do thus kitchen, so I wanted every little piece to work in true harmony. Also, as a mother of teens I wanted durability. These are going to last years. So happy with my choice. Great pricing on these and nice size. Like the way the lip is curved up. "Is there a 7-inch bar pull that matches this finish available?" "Can you tell me how tall these are? I'm looking for about 1 inch tall and these look a little more than that." Hello pedmom,, the GlideRite 2.5-inch Satin Nickel Classic Bin Cabinet Pulls (Pack of 10) is approximately 1.75 inches tall. Have a great day. "Is this 2.5 or 3.5 inch? Title says 2.5 but dimensions in description say 3.5." Hello Danielle,they are 3.5 in length and 2.5 in screw spacing. We hope this helps. Thank you for shopping with us. 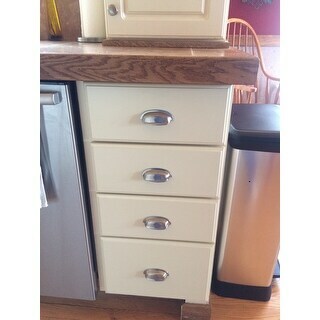 Remodeling kitchen, changing hardware on drawers. "Does the color and finish look the same as the Stone Mill Bellevue Satin Nickel Cabinet Knobs?" Hello kym, the stain nickel finish is standard and should match the knobs well. Thank you for shopping with us! "Is the GlideRite 2.5" Satin Nickel Classic Bin Cab. Pulls a "flush mount?" The last one ordered had to have a larger dia. hole than the screw hole counter sunk into the cab. front for it to fit, this we do not want. Appreciate your help. Ron Manus"
. 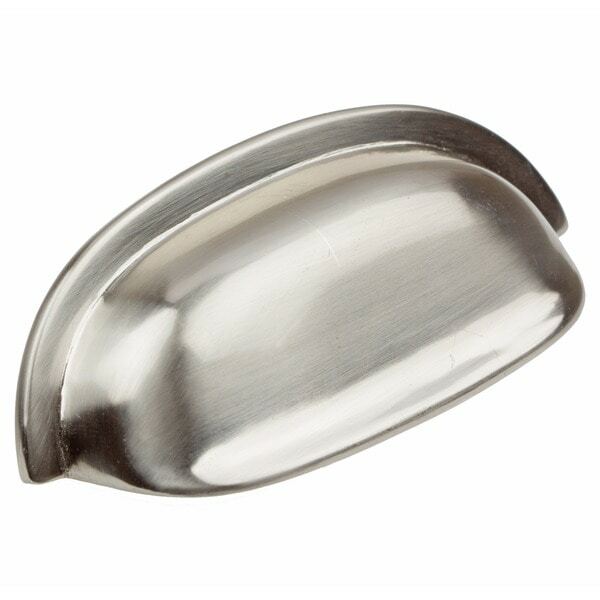 The 2.5-inch pulls are made of zinc alloy to ensure long-lasting use, and the satin nickel finish provides shine and a contemporary touch to your decor. Unwrap each individual bin pull, and use the included screws to install them within minutes.